Home›Reviews›Enuff Z'Nuff at Zia Eastern! Rare Acoustic Appearance from These Power Pop Legends! 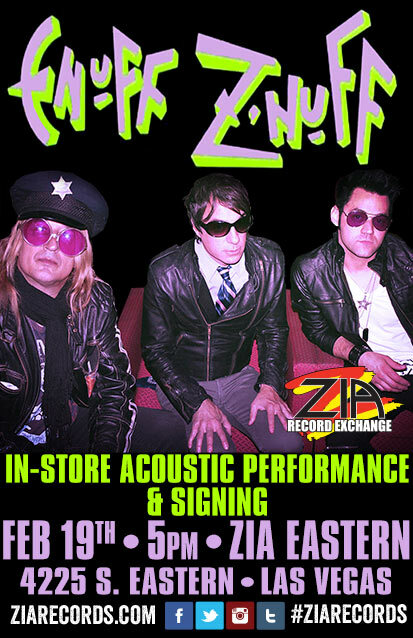 Enuff Z'Nuff did an in-store acoustic performance and signing at Zia Record Exchange's Eastern Avenue location in Las Vegas on February 19, 2015. In the latter days of the 1980s, Enuff Z’Nuff came on the music scene and scored some major hit singles and videos with their classic debut record. Tracks like Fly High Michelle and New Thing were instant classics, though like many of their musical brethren, they were quickly forgotten in the radical changes the scene endured in the early 1990s. Despite this, the group persevered with a sound all their own. While they tend to be lumped under the “hair band” umbrella, Enuff Z’Nuff was more of a power pop band, more like the spiritual successors to groups like Cheap Trick than the sleazy glam acts of the day. Their sound incorporated a number of musical elements and was rarely predictable. Upon hearing members of the band would be doing an acoustic set and autograph signing at Zia, I knew that as a fan I needed to be there! This acoustic set featured long time member Chip Z’Nuff along with Johnny Monaco (himself having been involved with the band since the mid 1990s) and Erik Donner. Zia has two locations in Vegas and is, in many respects, the last real store of its kind out here in the valley, with chains like Tower, Virgin, and Wherehouse long gone, along with countless local Vegas stores having bitten the dust. In-store events at both locations are not uncommon, with some highlights in recent years including visits from John Densmore (Doors drummer), Count’s 77, Chris Jericho, Smashing Pumpkins, Hellyeah, and Kix. 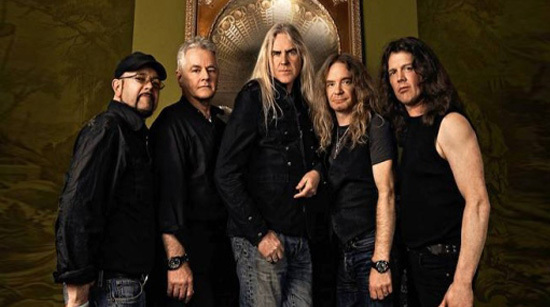 It took the band members quite some time to arrive; it was implied that they had gone to the wrong Zia store first, and the rush hour Vegas traffic certainly did not help things any. Surprisingly, very few people showed up for the event; only about 15 people or so actually attended. But what few people did attend got to experience a rare event with one of the rock world’s most underrated bands. 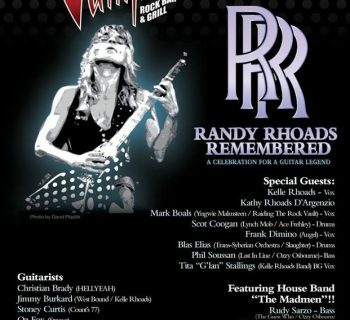 Amongst those in attendance was LA Guns vocalist/guitarist Phil Lewis, himself now a Vegas resident. You could tell the band members were in good spirits, cracking jokes at one another while getting the microphones set up for the gig. Once things got underway, the audience got to enjoy a handful of superb Enuff Z’Nuff songs done up in live form. It was interesting hearing the band dig into the vault and pulling out songs one does not hear too often. New Thing, one of the biggest hits from the band’s debut, finished off this short but sweet set, after which the band signed autographs and took pictures with fans. The one issue I have with this performance was its brevity; we only got about three or four songs before the band members called it quits for the evening and went to signing and taking pictures. Another song or two prior to the signing would have been nice, but the group was doing a gig at Vamp’d later in the evening so they were understandably strapped for time. It is disappointing that so few people actually attended this in-store event, because it was a rare opportunity to see some great musicians doing what they do best, in a rare stripped down format. That said, the fans that were there clearly had a fantastic time of things! Enuff Z’Nuff is still going strong, having just released their recent album, a covers CD entitled Covered in Gold. Similarly, Chip Z’Nuff released his debut solo album in recent weeks as well. Whether an acoustic or electric performance, Enuff Z’Nuff is always an entertaining group, and this was no exception to the rule.